SO 2.1 More diversified and sustainable use of natural and cultural heritage. SO 2.2 Increased awareness of energy saving, sorting waste and re-use, and the more efficient management of common water resources.
! There are compulsory consultations with the Joint secretariat required before submission of project application (technical eligibility criteria nr.1). Information on what qualifies as counsultation can be obtained here. Overview of SO 2.1 - More diversified and sustainable use of natural and cultural heritage. Projects must involve at least one Estonian and one Latvian partner, who are legally registered in the programme area. Specific requirement for SO 2.1 partnership is to involve larger networks of partners. All types of organizations and enterprises from Estonia and Latvia can apply (chapters 4.4. and 4.5. in the programme manual). not to create tourism products, that already are supported within the programme (information about supported heritage tourism projects). Marketing of the created products and services. For more information read the chapter 3.2 in the programme manual or consult the Joint secretariat. Overview of the SO 2.2 - Increased awareness of energy saving, sorting waste and re-use, and the more efficient management of common water resources. Projects must involve at least one Estonian and one Latvian partner, who are legally registered in the programme area. All types of organizations and enterprises from Estonia and Latvia can apply (chapters 4.4. and 4.5. in the programme manual). 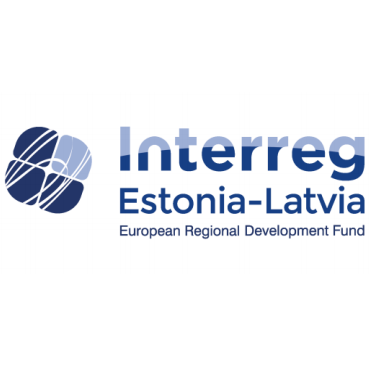 Projects aimed to increase joint water management initiatives must involve in the partnership at least one Estonian and one Latvian institution listed in the footnote on page 13 of the programme manual. public campaigns that are targeted at environmentally-friendlier behaviour for the topic "Increased awareness of energy saving, sorting waste and re-use"
joint management initiatives for water or coastal areas for the topic "More efficient management of common water resources"
public campaigns that include hands-on workshops, information tools and other activities to raise awareness about importance of energy saving, waste sorting and re-use. coordinated reaction to environmental accidents in the Gulf of Riga, supporting pollution prevention.